So Mr. McGuire and I are trying to live within a drastically slashed budget for September. Just to see if we can put away a bigger chunk of change than usual. This was 100% his idea, and it is extremely interesting to see him try to be frugal, after years of him telling me not to worry about money, that we “deserve” Big Purchase X or Small Luxury Y. That always drove me crazy, that phraseology. Sure, we “deserve” lots of things, but that doesn’t mean we can afford them or that we should get them! Listen closely to ads on TV sometime, and you’ll see how often that word pops up. I’m 37, and I think the “You deserve a break today” McDonald’s ad campaign is probably still what makes me go there. We started off the month inauspiciously, with a $225 deficit that carried over from August. But ten days in, I think we are doing pretty good. I have pared down the grocery list and dug things out from the darkest corners of the fridge and freezer. All leftovers are being eaten. I told my son he had to use his own money if he wanted to buy books at his school’s book fair this week. I have resisted buying more plants and tools for gardening. Iced coffee from Wawa is the one thing I can’t seem to give up. 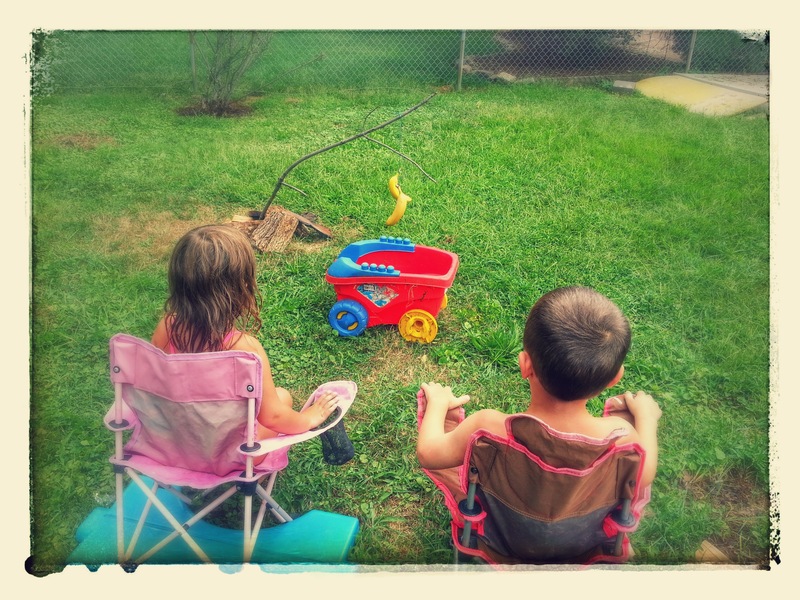 We spent a few nice days in the garden this past week. I planted carrot and two types of lettuce seeds in containers and put them in one of the sunniest parts of the yard. We’ll see what happens. My daughter helped plant the seeds, so it was a little messy. The kids (mine and their friends) also helped me make signs for the containers. 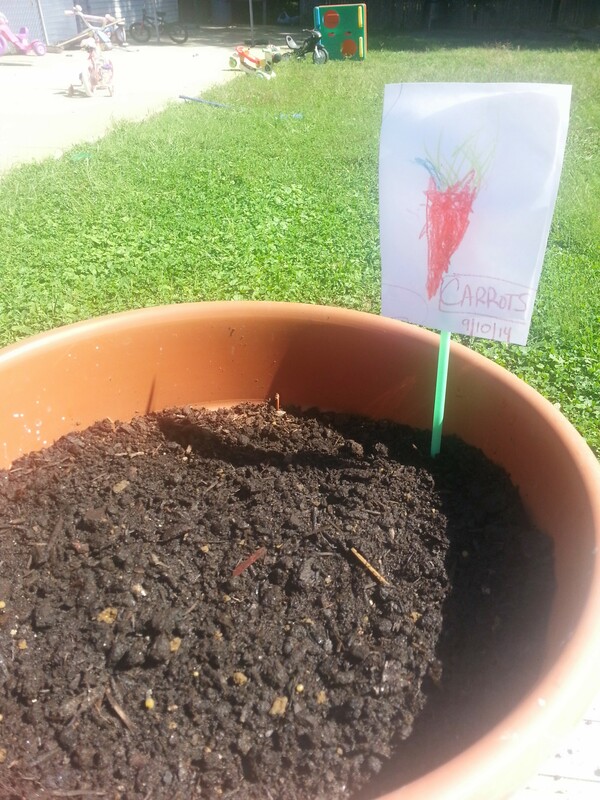 Hoping the signs will remind said kids that I planted something there and they shouldn’t dig around in it. Later, we hung bananas from it. 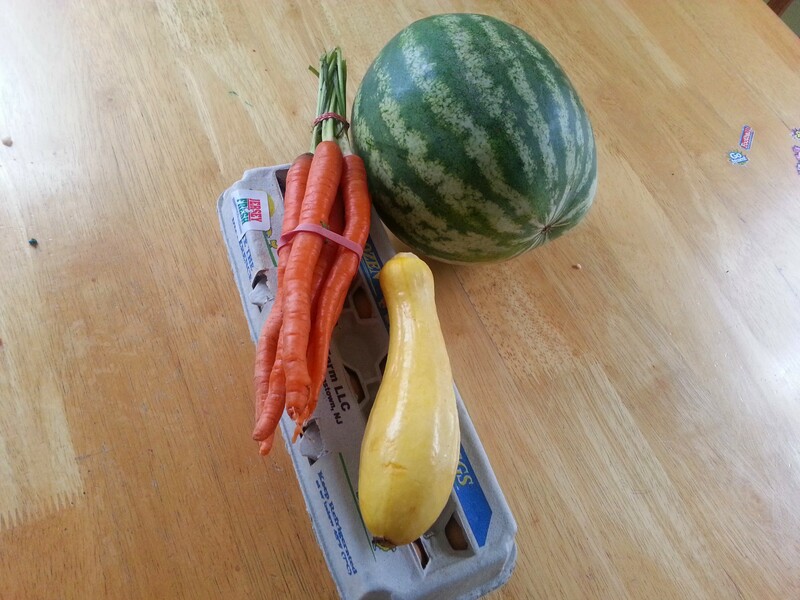 Last week, I got carrots, Romaine lettuce, corn, and Yukon gold potatoes. I did my meal planning around those purchases, so they wouldn’t go to waste. We ate a lot of salad last week, which helped both our diets and the no-spend September challenge. I’m thinking I should get a wagon, so I can haul the kids around and get more stuff. School and soccer are in full swing. 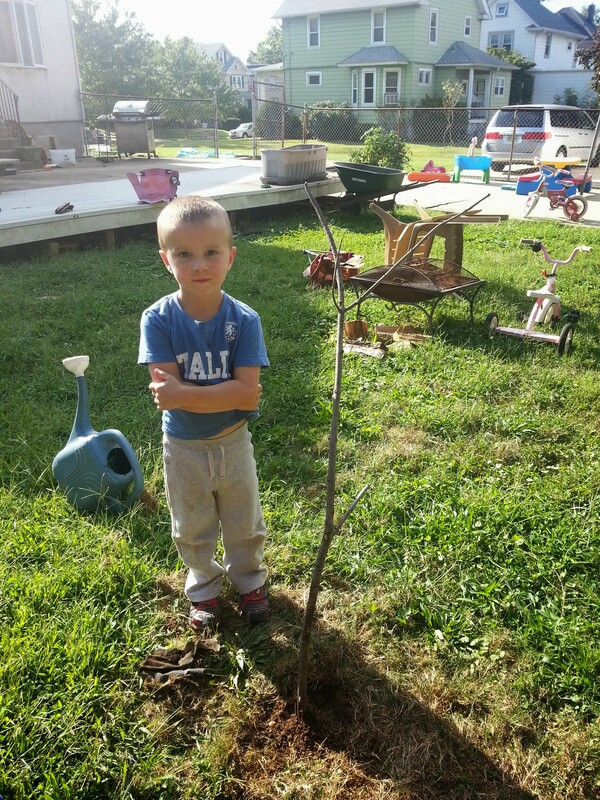 My younger son is slowly getting used to preschool. I have a lead on a good new babysitter, and my newly retired mom has been helping me out too. Warm days, cool nights, pumpkin candles burning on a rainy afternoon… it’s fall.